I am glad he finally got this opportunity!!! Certainly nobody deserves it more than him at the moment. Vincent Enyeama is a talented goal keeper and shows his dribbling skills when opportunities call for it. I am glad he has been nominated. With the population of Nigeria amounting to millions and for Nigerians being internet and telecommunication savvy, I urge us to vote for this guy who has always made us proud. 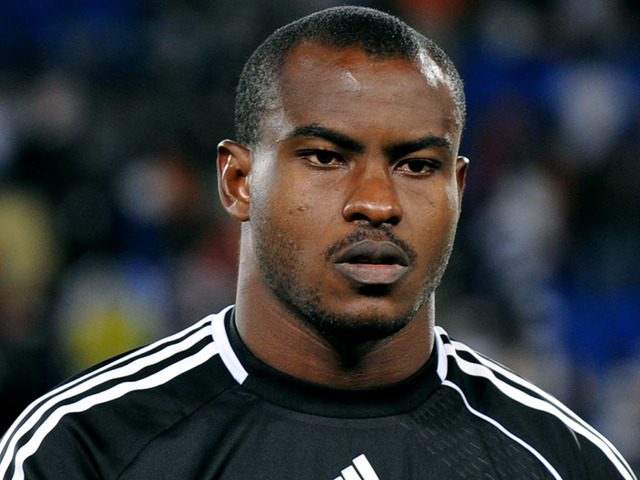 He deserves to be made proud….Vote Vincent Enyeama as the AFRICAN FOOTBALLER OF THE YEAR 2014. Title holder Yaya Toure has been nominated for the sixth consecutive year, along with Pierre-Emerick Aubameyang, Yacine Brahimi, Vincent Enyeama and Gervinho. The winner will be decided by fans of African football, who have until 18:00 GMT on Monday, 24 November to vote for their choice. You can vote online here. Or to vote for BBC African Footballer of the Year 2014 by SMS, text the number of the player you wish to vote for to +447786202008. Please readers text 3 to +447786202008 for Vincent to win…thank you! This entry was posted in Sports and tagged Vincent Enyeama Nominated BBC African Footballer of the year 2014.